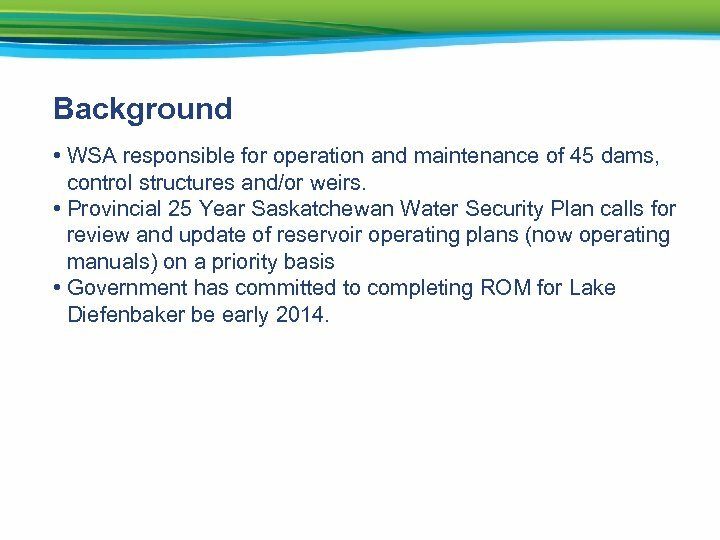 Background • WSA responsible for operation and maintenance of 45 dams, control structures and/or weirs. 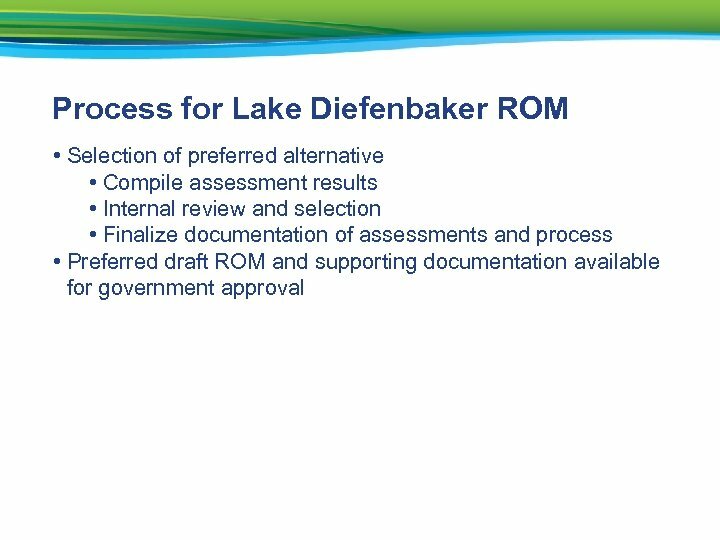 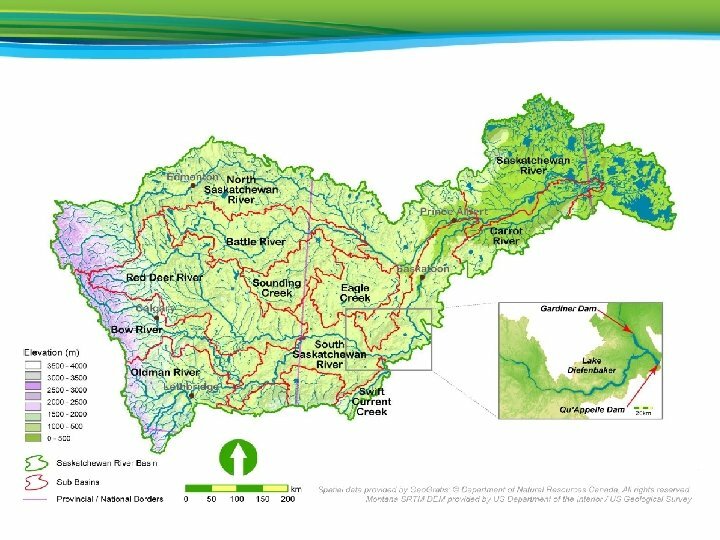 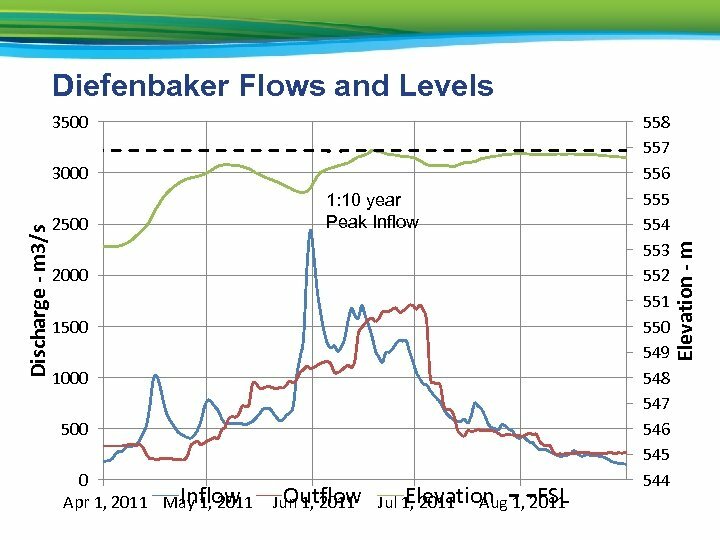 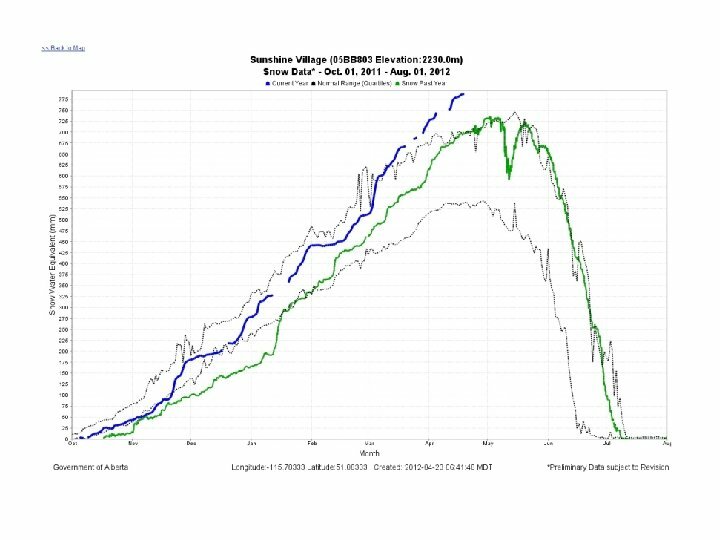 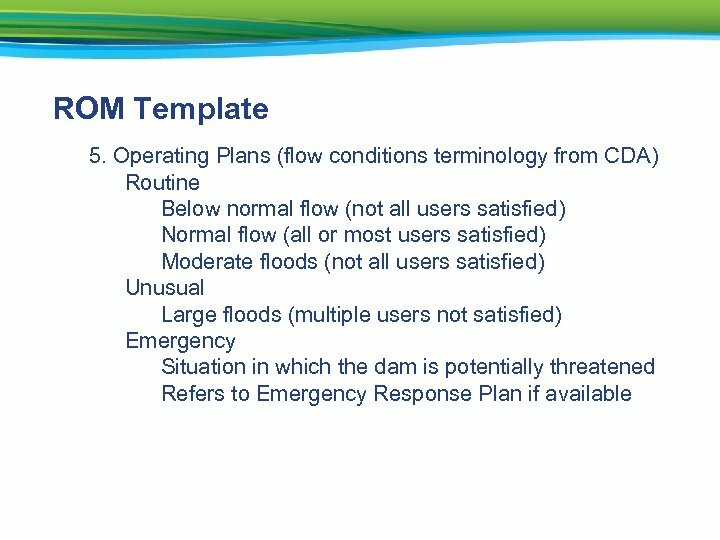 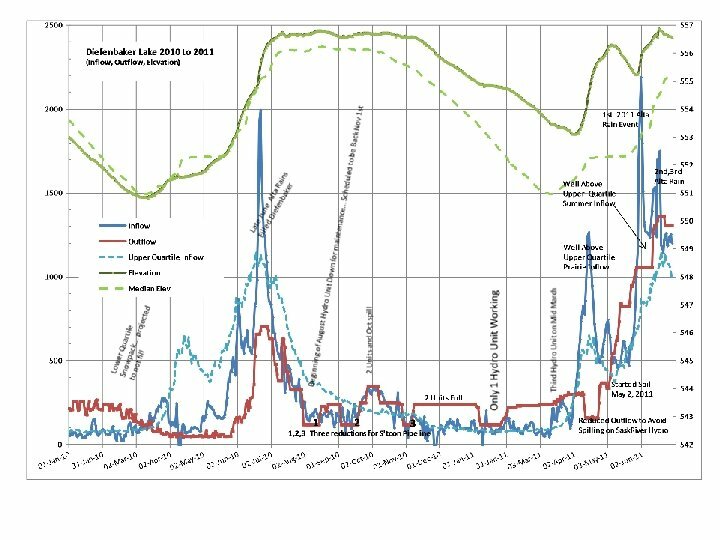 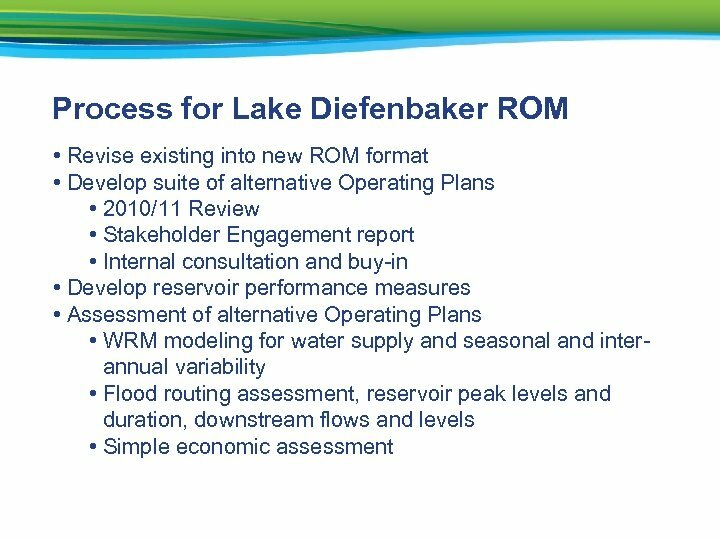 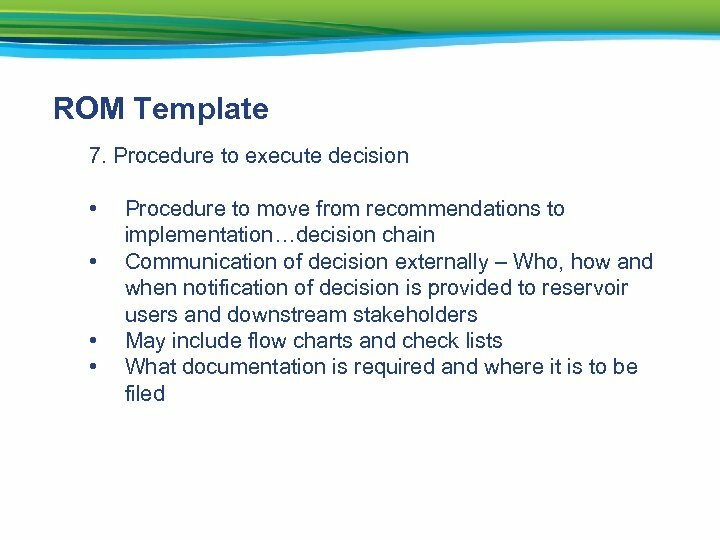 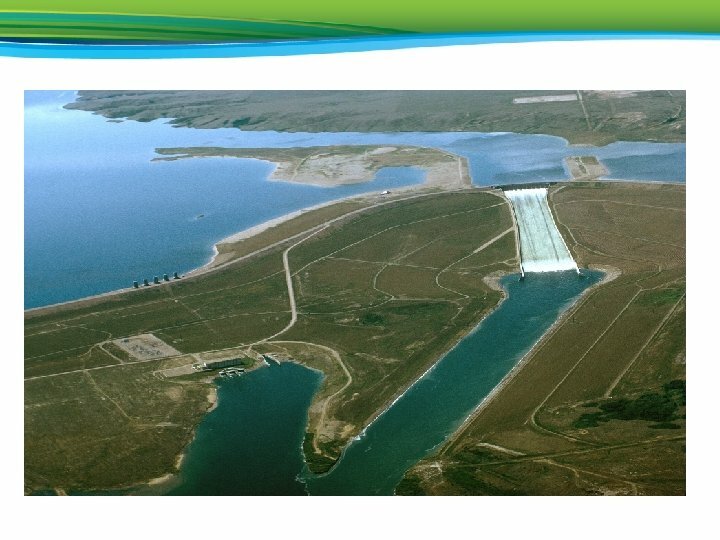 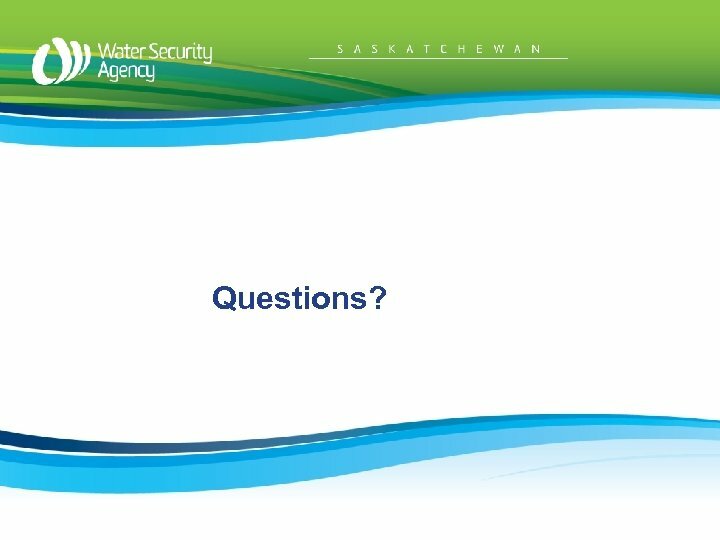 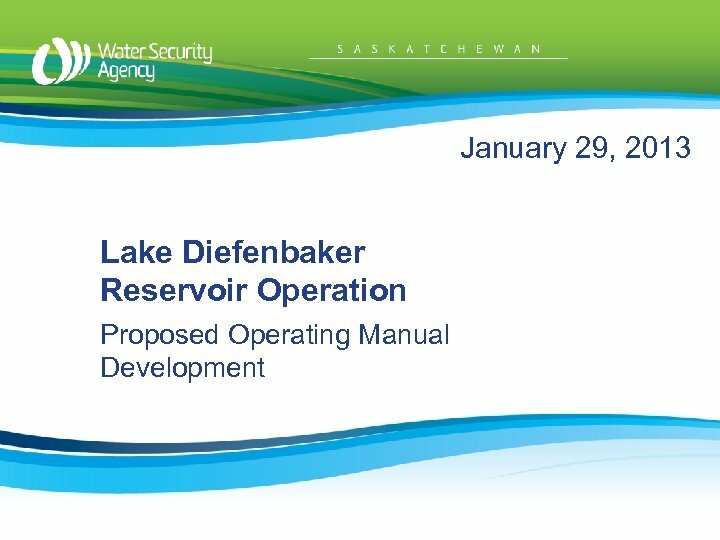 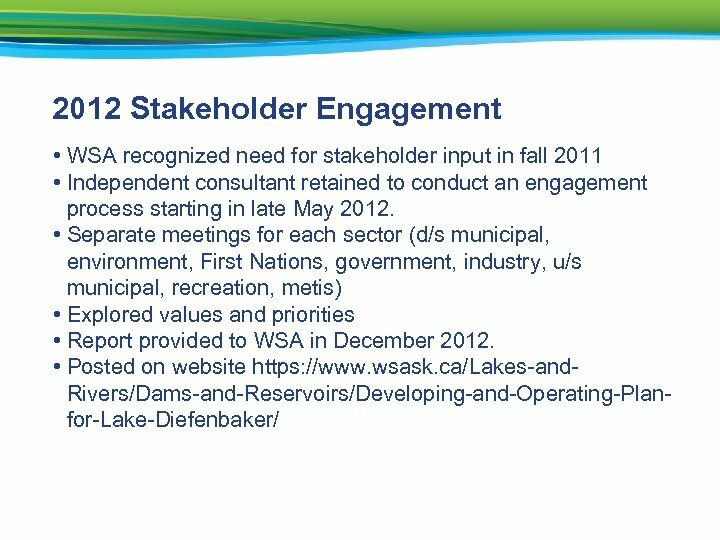 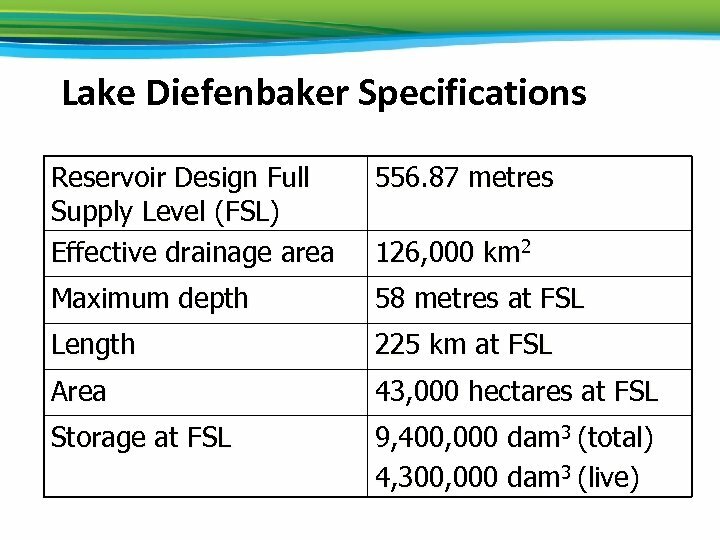 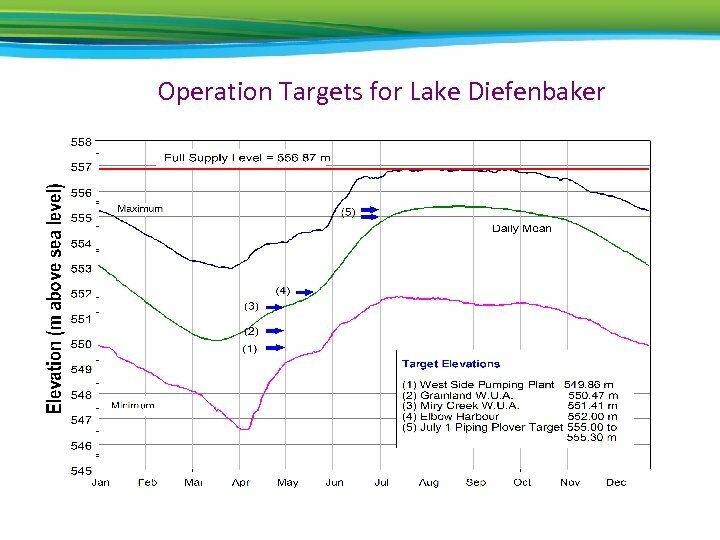 • Provincial 25 Year Saskatchewan Water Security Plan calls for review and update of reservoir operating plans (now operating manuals) on a priority basis • Government has committed to completing ROM for Lake Diefenbaker be early 2014. 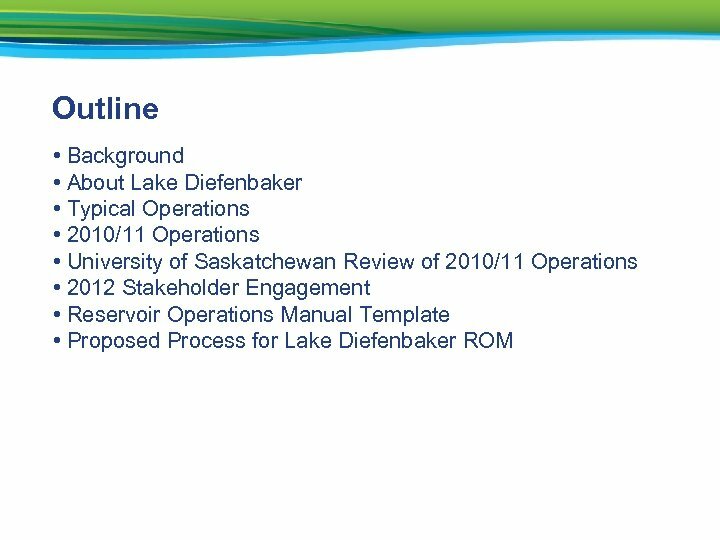 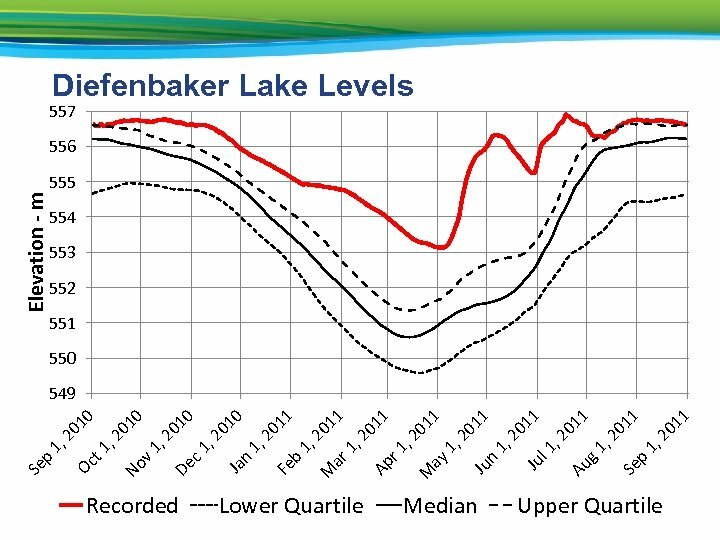 U of S Review of 2010/11 Lake Diefenbaker Operations • Reviewed flow and operational records, data records, interviewed staff and external experts • Final report delivered February 2012 • 8 major recommendations • First identifies the need for a document clearly outlining the priorities and rules for operating the reservoir over the range of expected flow conditions • Second identifies the need to clarify the operating objectives. 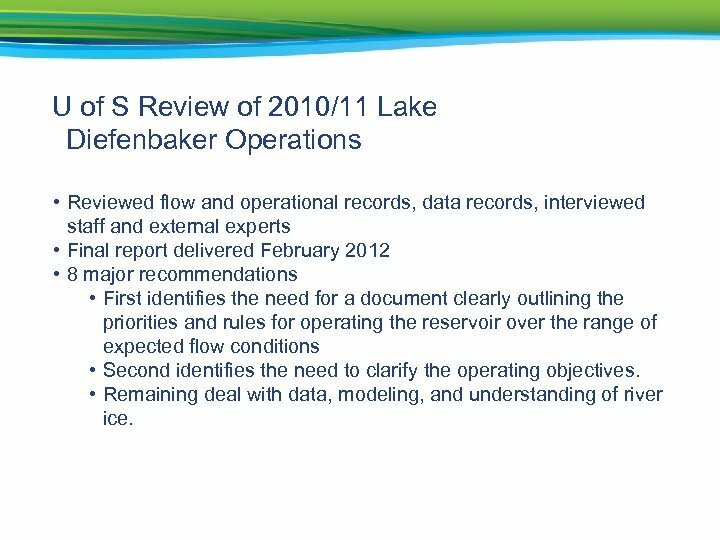 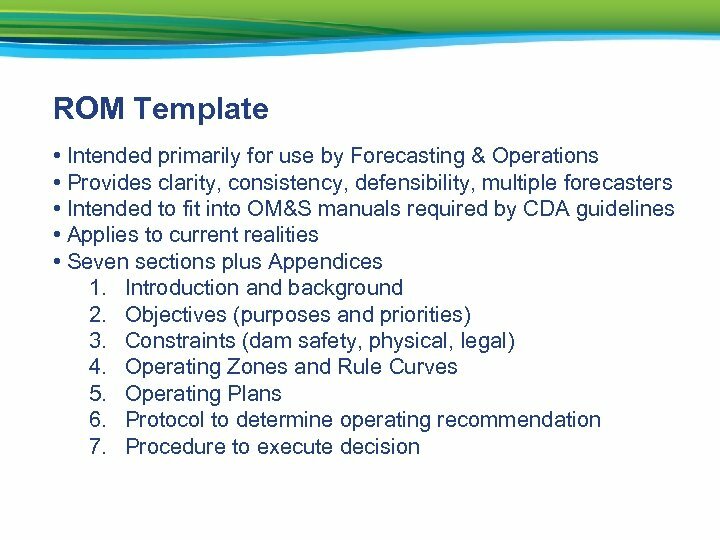 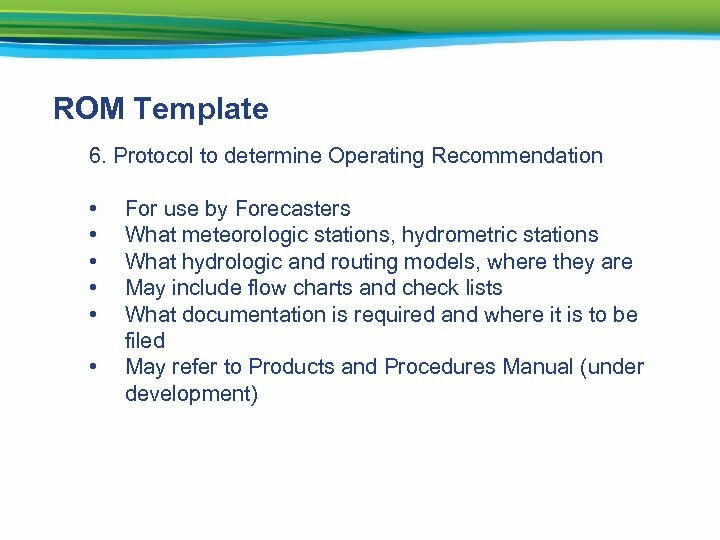 • Remaining deal with data, modeling, and understanding of river ice.